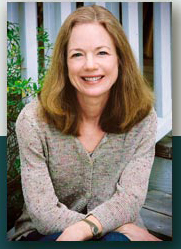 Carol Cassella is a practicing anesthesiologist in Seattle who lives on Bainbridge Island. 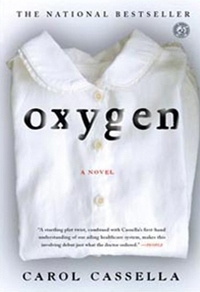 Cassella's first book, Oxygen became an instant blockbuster when it was released in 2008. The novel's protagonist, an anesthesiologist at the height of her profession, practices at a top Seattle hospital. When an operating room disaster results in a malpractice suit the orderliness of her professional and personal life begins to unravel. People Magazine says of the book "a startling plot twist, combined with Cassella’s first-hand understanding of our ailing healthcare system, makes this involving debut just what the doctor ordered.” Eric Spencer from 'The Creative Mind Behind' says "... this is one of the best novels of 2008 ... with an emotional storyline that will leave you wondering what’s next the entire book. This novel, besides entertaining you, may just open your eyes to the relationship between doctors and patients, the sense of responsibility that physicians have, and the medical ethics that are part of the field." 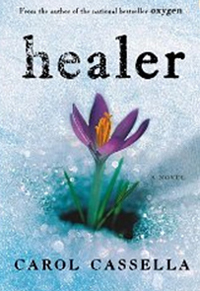 Cassella takes another hard look at the healthcare system in her second novel Healer (2010). Claire Boehning, a trained physician, and her biochemist husband lose everything when the financial backing for a new drug disappears. Forced to leave Seattle, they move to a run-down house in the country where Claire starts to work at a nonprofit clinic and meets a mysterious Nicaraguan. To find out more please go to http://carolcassella.com/.